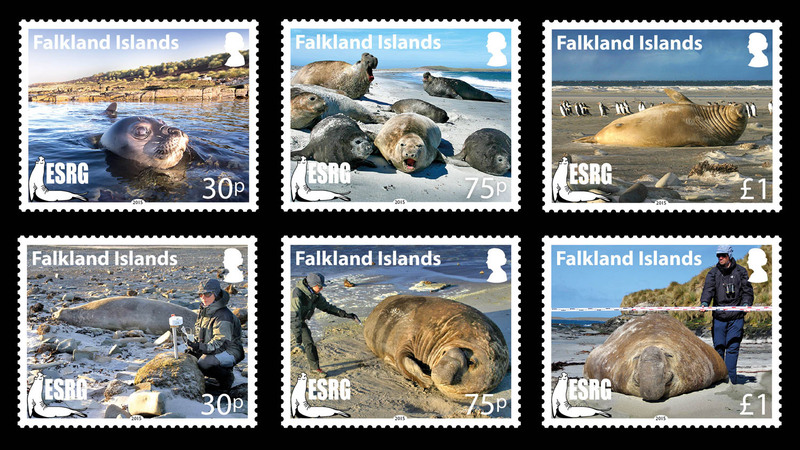 The skua found at Sea Lion Island is a subspecies called the Falklands skua (Catharacta antarctica antarctica). 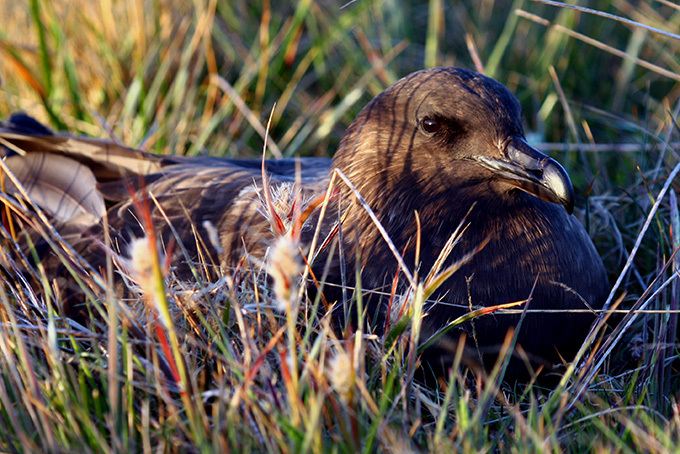 The skua is widely distributed around the Falklands. A tentative estimate of the population size is 5000 pairs. Skuas usually nest in small colonies close to main sources of food, like penguin or cormorant colonies. They prey on eggs and chicks, but they are also scavenger, and they are generalist, being able to feed on a vast array of different food items. 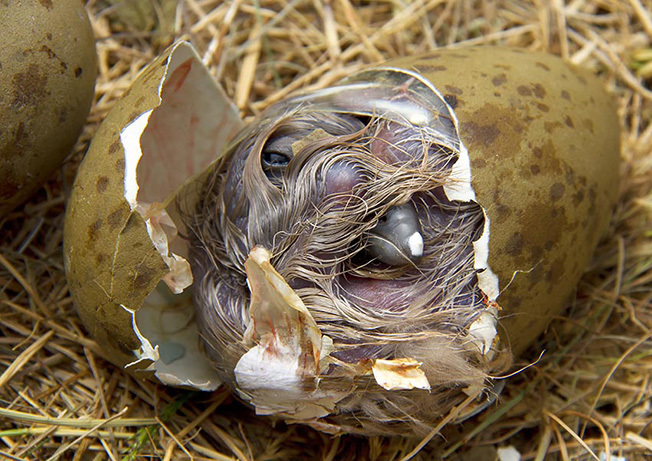 The nest is usually a rather simple hollows in the grassland, Skuas lay up to three eggs, but the average is two. They lay egg during November or December, later than most other bird species. They are aggressive while defending theit territory , and they can actually attack people approaching their nest at too close distance. They use visual and acoustic displays to advertise and defend their territory. The young fledge between February and March, and in April adults and juveniles migrate northwards for the winter.